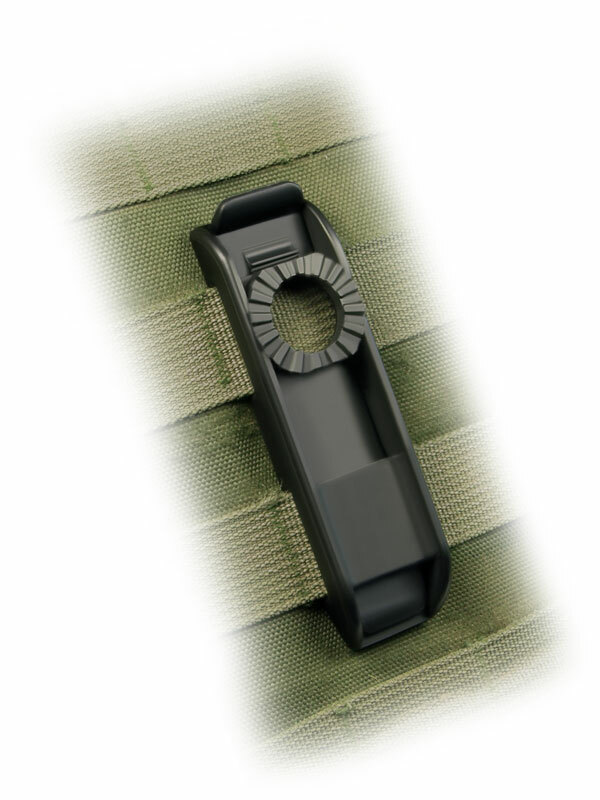 This holder is determined for the flashlights with head diameter up to 43 mm and it also enables additional elongation of the holder by 18 mm. 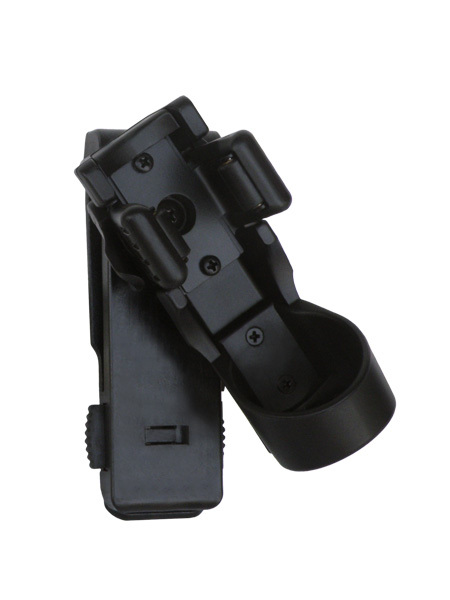 The holder LHU-04-43 is determined for the flashlights with head diameter up to 43 mm and it also enables additional elongation of the holder by 18 mm. 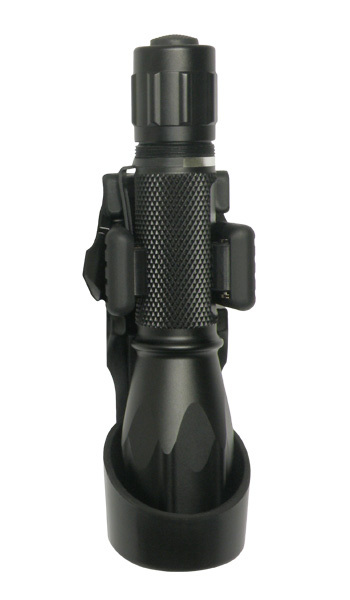 The holder LHU-14-43 is determined for the flashlights with head diameter up to 43 mm and it also enables additional elongation of the holder by 18 mm. 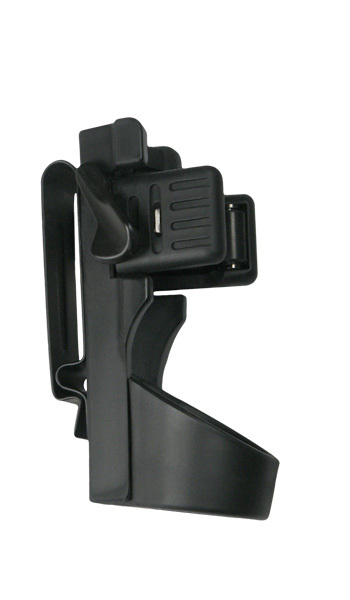 Universal plastic holder is determined for professional use. 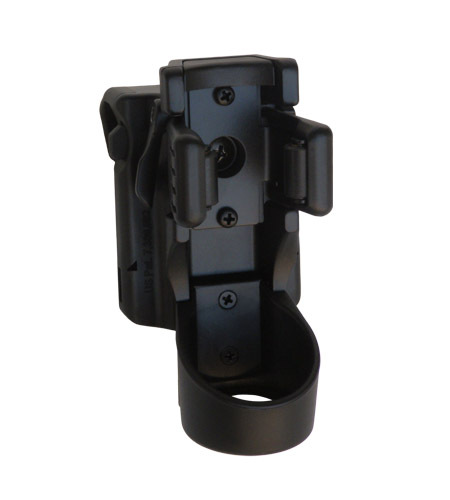 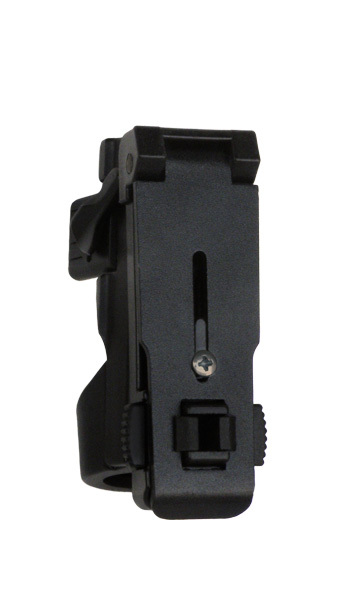 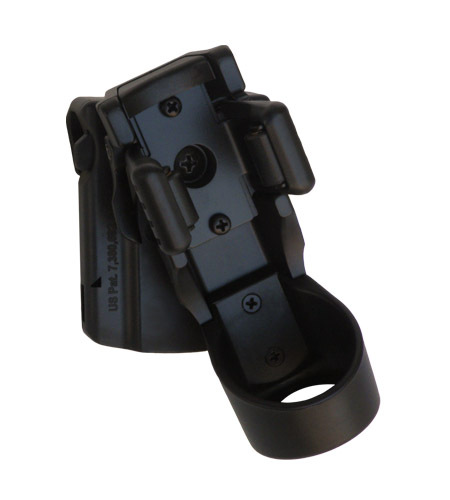 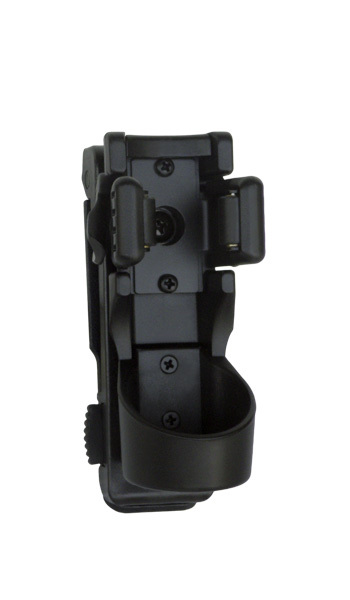 It enables very fast tilt of the flashlight from the holder. 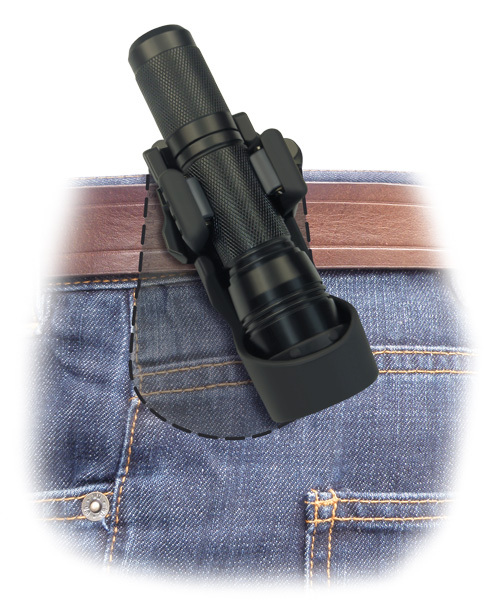 It contains also a safety lock, which preventing spontaneous release of the flashlight. 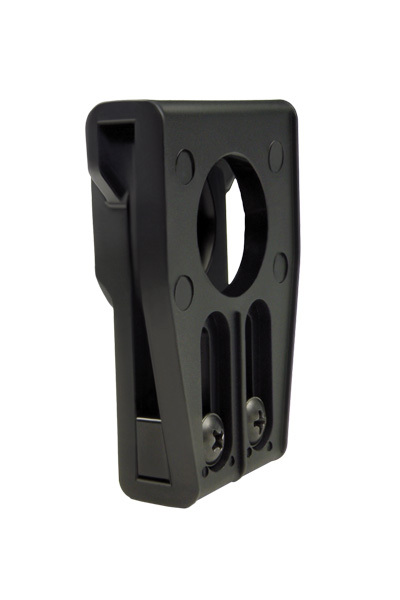 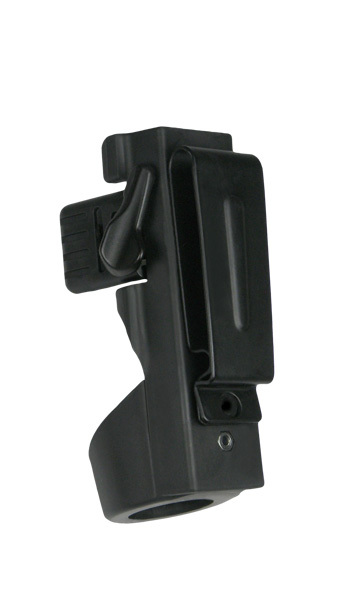 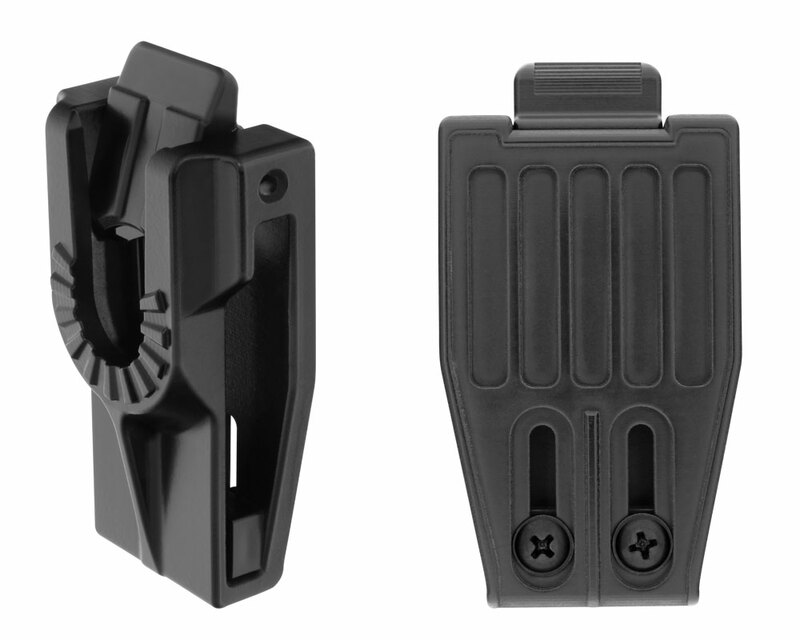 Design of this holder was already patented in the USA (US D652,566 S) and in Europe (RCD No: 1958182-0001). 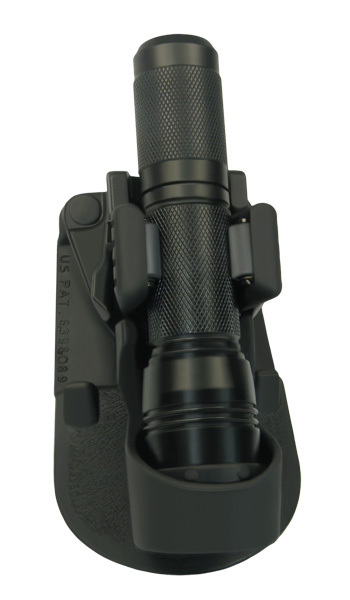 The holder LHU-64-43 is determined for the flashlights with head diameter up to 43 mm and it also enables additional elongation of the holder by 18 mm.